Russia is taking steps to minimize the threats to its national security coming from the internet, but it is completely wrong to describe these as attempts to impose total control over the web, the Russian president’s press secretary has said. “Such a large country as Russia must possess its own potential to compensate possible unfriendly steps aimed at disabling whole segments of the worldwide web. Of course work is being done in this direction and tasks have been handed out. But it is wrong to interpret this as full control over the internet,” Dmitry Peskov was quoted as saying by RIA Novosti. 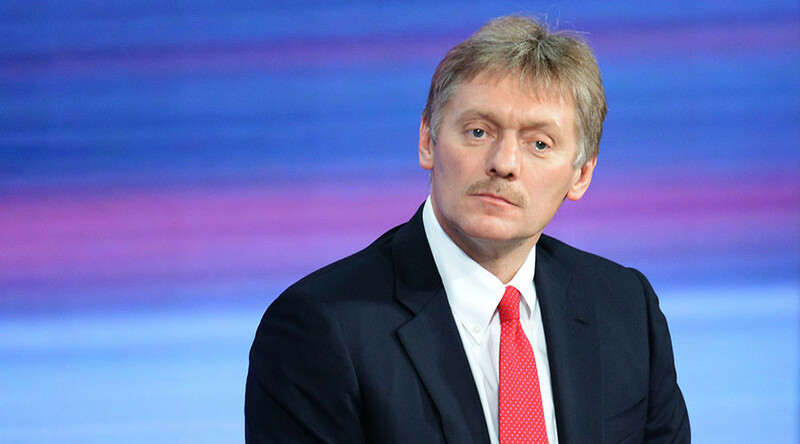 The Kremlin spokesman emphasized that he was talking about potential threats and not any specific problems. The comments came after Russian business daily Vedomosti released an article that claimed the Communications Ministry had prepared a bill that, in the newspaper’s terms, allowed it “to control the internet traffic in the country.” Journalists referred to the leaked explanatory note to the planned bill which contains such measures as setting up a state agency to monitor the handing out of domain names and IP addresses. In addition, the authors of the draft propose the creation of a backup registry for IP addresses in the Russian sector of the internet that would be used in the event that the main registry – the Netherlands-based RIPE NCC – became inaccessible due to attack or malfunction. Vedomosti’s source in the Russian government noted that if the proposed amendments are passed into law, the state would offer internet service providers the use of the backup registry – but there would be no plans to force them into cooperation. In September 2015 Russia introduced a law obliging all companies offering internet services to store users’ personal information inside the country. The initial draft had suggested the law would come into full force on September 1, 2016, but when the bill passed the State Duma its introduction was moved one year earlier, with exceptions for some businesses such as air carriers. The law gives the Russian state internet watchdog the power to blacklist sites that refuse to comply without court warrants. Violations of the law are punishable with a relatively small fine of 20,000 rubles (about $300) and the term for bringing violators’ activities in line with state regulations is six months. According to the law, personal data collected before September 1, 2015, can remain on foreign servers in its unchanged form. It also allows exceptions for cases described in various international treaties and agreements, such as foreign embassies’ online visa services. As of the beginning of 2016, the “Right to be forgotten” legislation came into effect in Russia, enabling users to file a personal request to have links to obsolete personal information deleted on indexing services operating in the Russian segment of the internet. The new law does not permit information concerning criminal prosecutions to be deleted or edited, even if the person has already served their prison term. In addition, a state employee cannot demand that information on their personal income or property be hidden. Search engines are only obliged to delete search results, leaving the actual information on web platforms untouched.